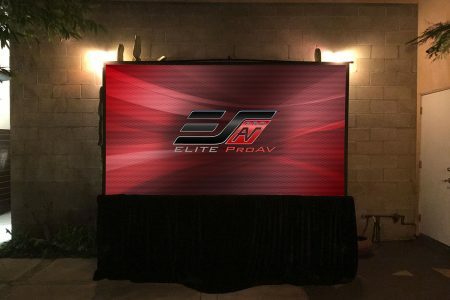 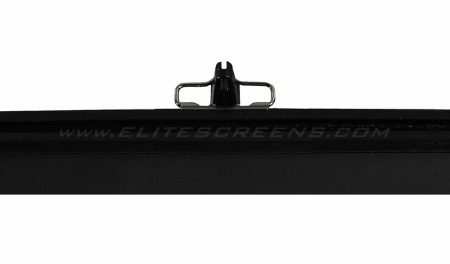 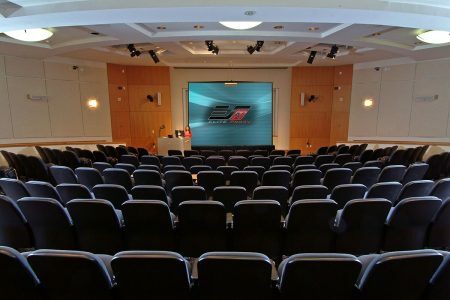 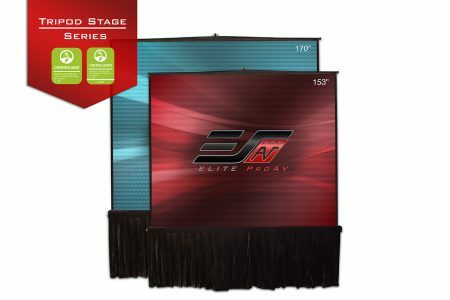 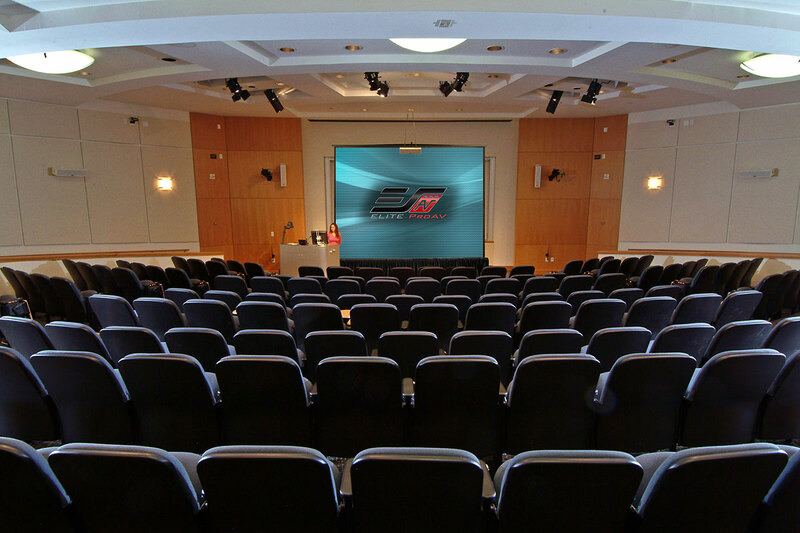 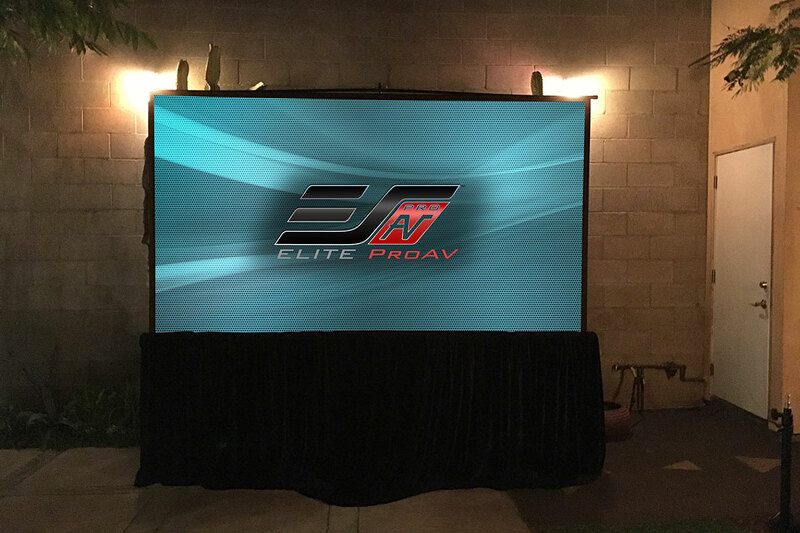 Tripod Stage Series - EliteProAV - Providing an array of dedicated commercial grade projector screens to professional integrators. The Tripod Stage Series takes the traditional tripod design and enhances it to create a top-notch portable “big screen” presentation that is ideal for small or large venues. 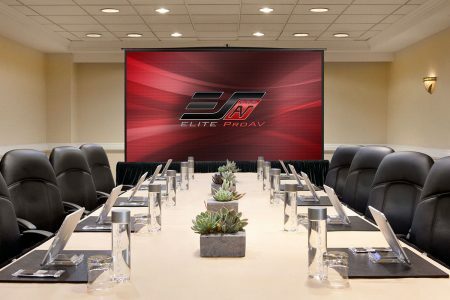 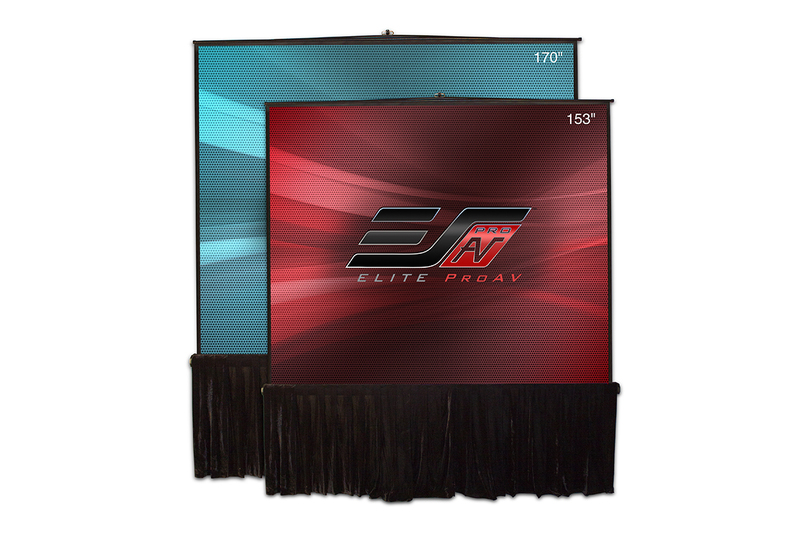 The addition of revised features and a professional drape kit refines a traditional concept into a bigger and better solution for modern day hotels, conference rooms or any other large venue presentations. 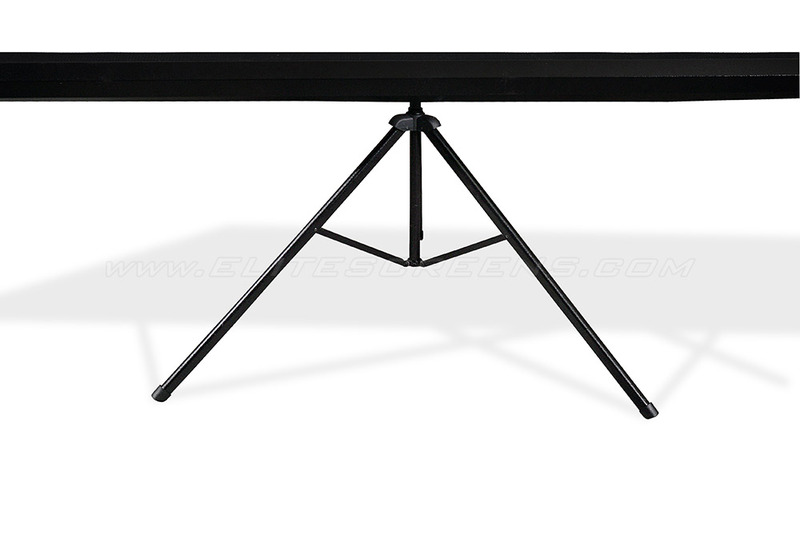 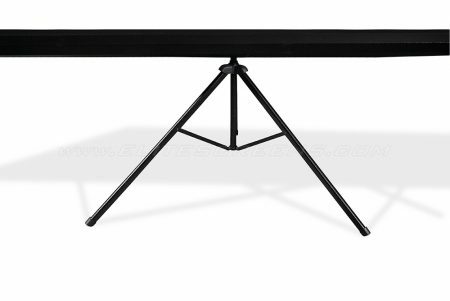 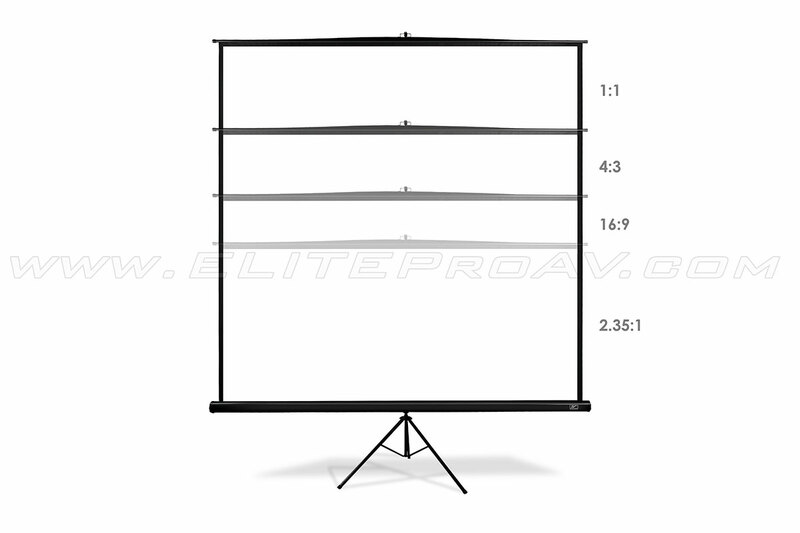 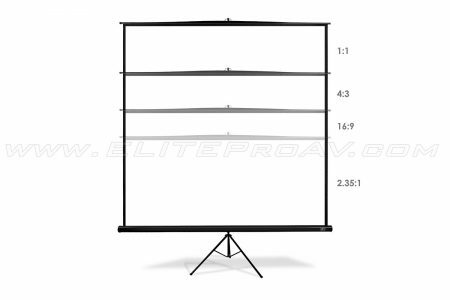 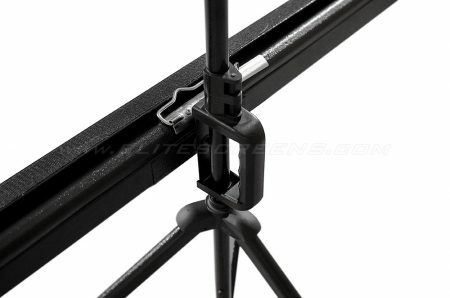 Its dependable design makes it easy to setup/take down in seconds, adjustable telescopic support allows variable height settings as well as variable aspect ratios. 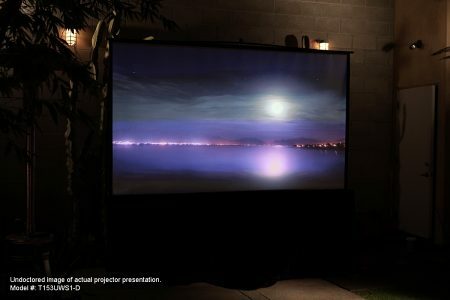 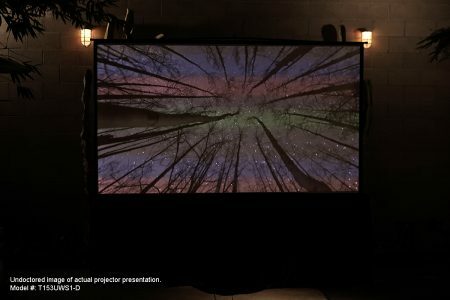 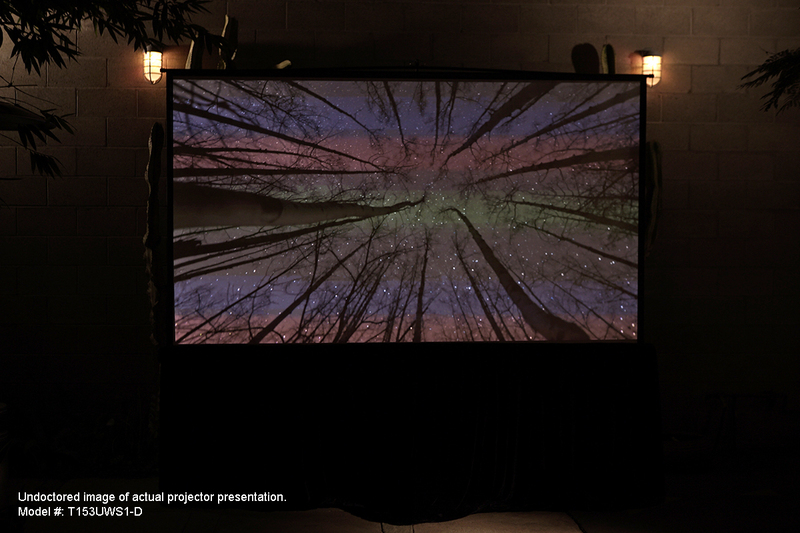 The MaxWhite® front projection material has a 1.1 unity gain with a wide viewing angle. 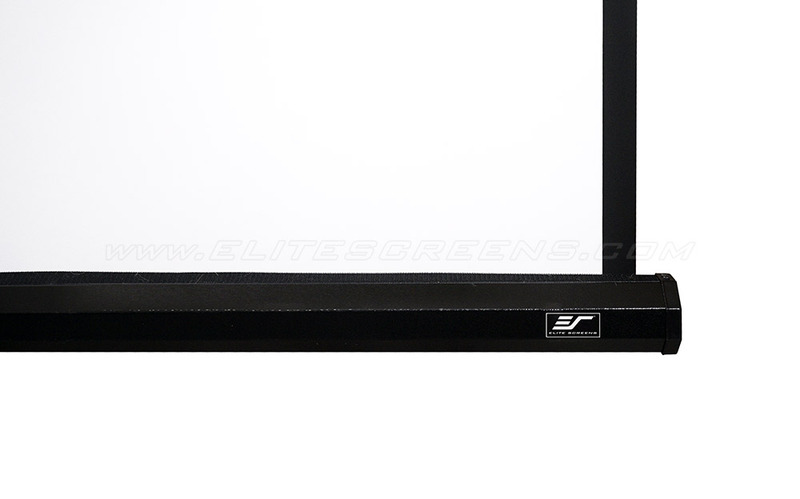 It is also GREENGUARD® (UL 2818) Certified for indoor air quality.